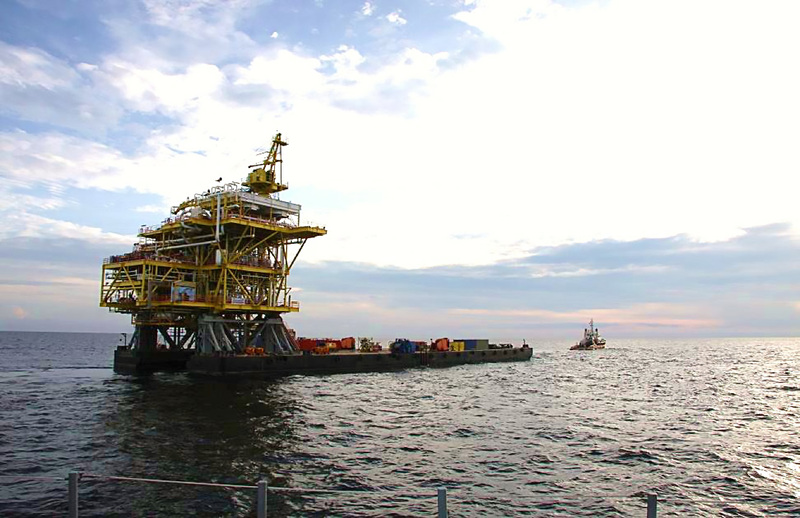 From 2008-2013, the barge was on charter to an International Oil Company operating in offshore Sarawak, Malaysia. 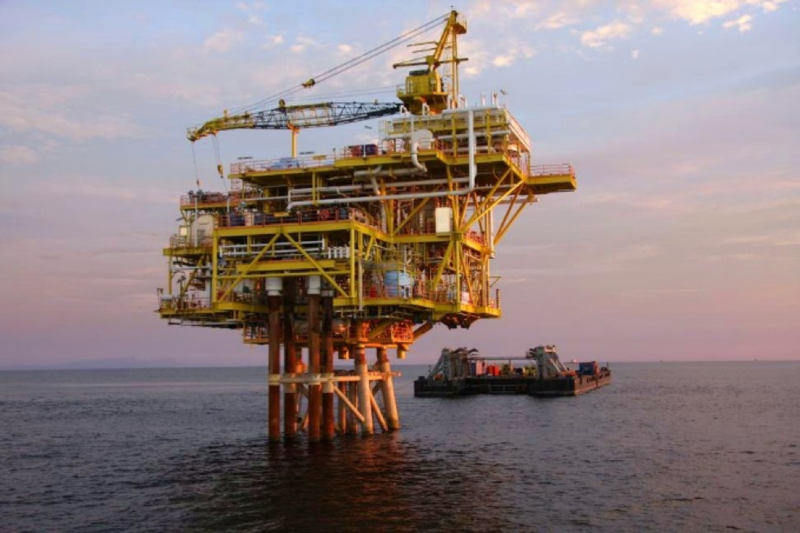 It was part of a turnkey solution in the installation of customised jackets and topsides designed to be installed by the Daiho II over marginal fields. 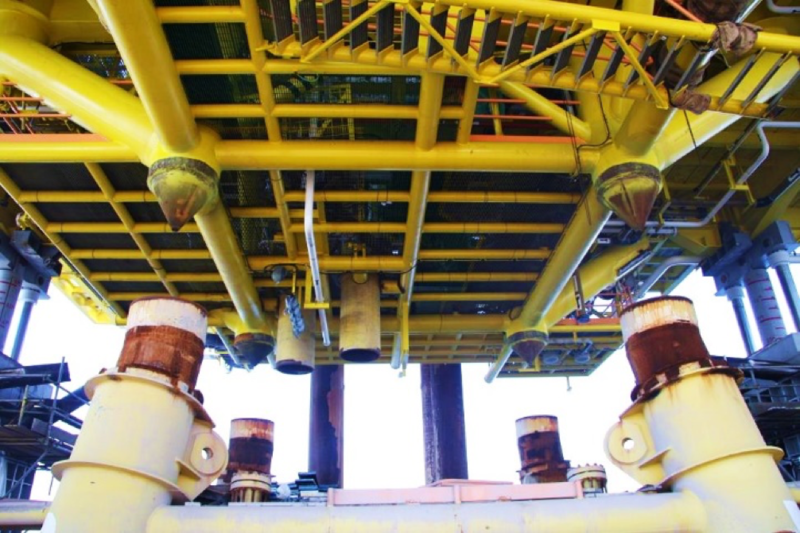 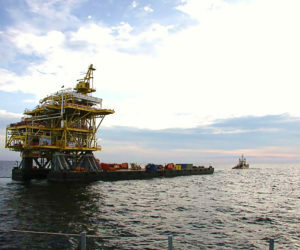 The combination of the lightweight, low-cost topsides/jackets and the Daiho II technique allowed the oil company to maximise their return on investments from these marginal fields over conventional solutions. 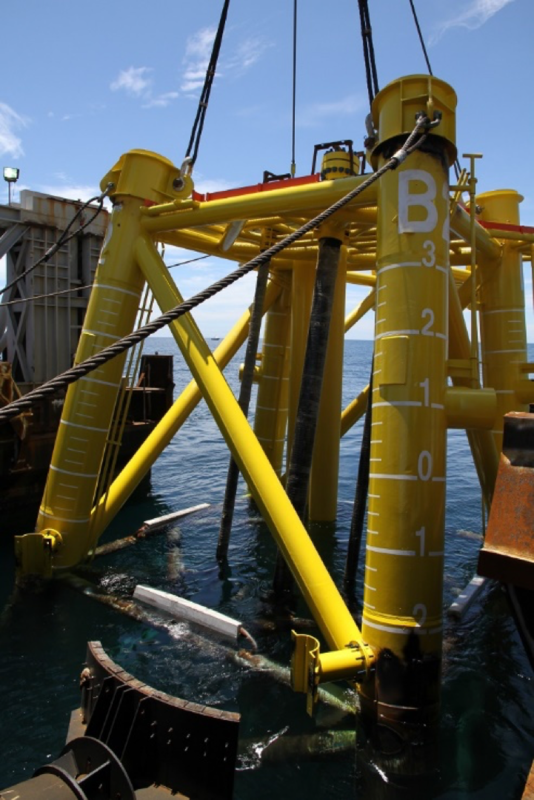 The Daiho II has the capability of installing jackets up to 60m water depth and topsides of up to 1,500t utilising the float-over technique without the use of heavy crane. 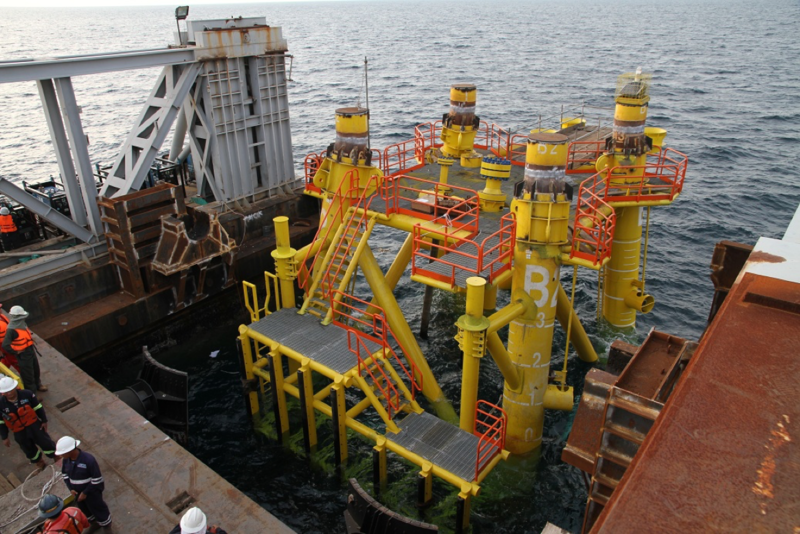 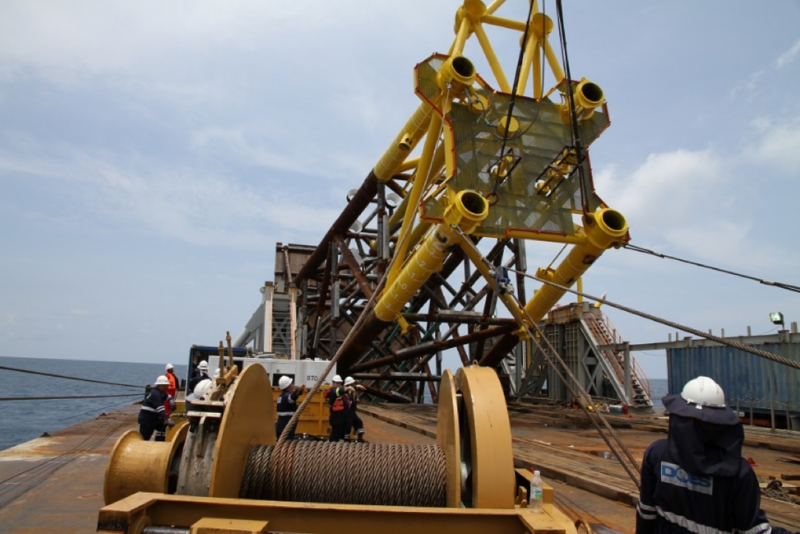 Using the float-over method, the Daiho II is capable of installing platforms of up to 1,500 T.
We do not disclose further information on our track records on this website due to privacy reasons. 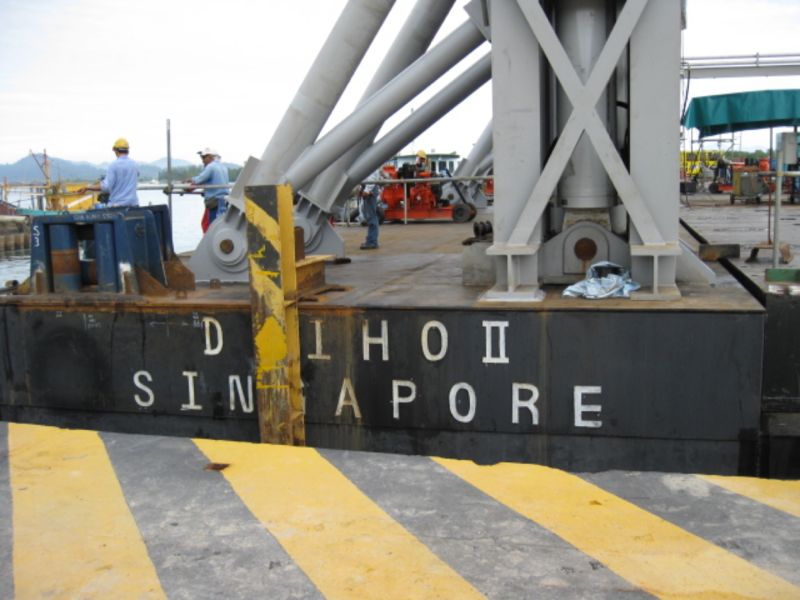 Nevertheless, do not hesitate to contact us for more details about our company and track records.